I’m from South Texas but I live in Liberty Lake, WA. A little about your self `ie your education Family life etc – I’m the mom of four kids and a wife to a great guy. After high school, I joined the Air Force Reserves and served as a Radio Operator at the MARS station on Kelly AFB, Texas. I didn’t travel far in the military; I’m a native Texan and have lived all over south Texas. Today is launch day for Deception on Durham Road. 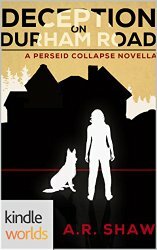 It’s my contribution to the Perseid Collapse Kindle Worlds series. It’s a novella based on Author Steven Konkoly’s Perseid Collapse World. 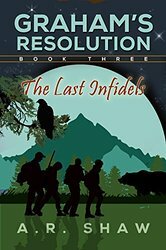 Also, The Cascade Prepeprs audio book is about to be available and the third book in the Graham’s Resolution series, The Last Infidels, is coming soon. I’ve always written in little spurts through the years. It’s more of an affliction than a gift… I started writing full time after my children began leaving for college. Um, I’m not sure I own the label yet. I think that depends on one’s success. As your children begin to leave for college all kinds of scenarios run through your mind. After my son left for a college on the other side of our state, I began to think about how he might make his way home given a world catastrophe. (I know, crazy right.) Anyway, I began with that scenario and then it morphed over time to a man named Graham and an impossible situation…or so we all hope. You know, I don’t know that I do. I think a reader can pinpoint an author’s writing style better than an author can. I try to stick to realism. Steven Konkoly compared me to Cormac McCarthy’s, The Long Road. I know this is odd but titles come to me in the shower. I have one of those waterproof pads and pencils in there and I capture valuable titles and thoughts that would otherwise make their way down the drain. Yes. Prepare. Think about our world today and remember what has happened in our history. We are far too complacent in our current world. Don’t be caught unaware and unprepared. Well…I’d like to hope it’s unrealistic. However, as much research I’ve done over the past few years on pandemics and the development of mutations of viruses, it’s far too plausible of a scenario. This is in reference to the Graham’s Resolution Series. My novella, Deception on Durham Road, is realistic in my humble opinion. I’ve been through weather issues myself that caused folks to flee or regroup or hunker down. I think Jamie, the main character, reacts as likely as anyone in her position. Strong women buck up and do what’s necessary. I certainly draw from my own experiences but these events are completely fictional. I loved, To Kill a Mockingbird and so happy to hear the author is releasing another book; how cool is that after all these years? I also truly loved World Made by Hand by Kunstler as well as Into the Forest by Hegland. And, of course, Steven King’s The Stand. As for mentors, I ask and receive a lot of great advice from my friends Steven Konkoly and G. Michael Hopf. I’m currently reading the Wayward Pines series and if you haven’t read this, please do. It’s like nothing I’ve ever read. Also, I highly recommend Eleanor by Gurley; it’s amazing. Bobby Akart. 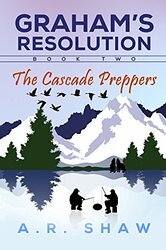 He’s new and quite talented in the world of Prepper Fiction. Steven Bird’s Homefront series is also really good. In a totally different genre, Douglas Bornemann of Demon of Histlewick Downs. I mentioned him before but Jason Gurley of Eleanor is an amazing read. Well, I just released Deception on Durham Road and The Last Infidels is a presale right now to be released later this month or early March. 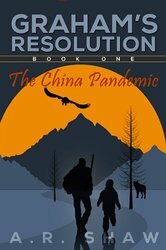 Currently, I’m writing the fourth in the Graham’s Resolution series and have plans for the fourth. I also have an idea for a prequel to the event. Certainly my teachers growing up. I was a shy girl and I read constantly, they fed that hunger over my school years. Besides that, the folks at Amazon Kindle have been a great supporter of my work. Yes, I do. I’ve been lucky enough to make it a career. I think we always second guess things after the publication. In The China Pandemic, I may have tweaked the ending a bit. I’m pretty satisfied with The Cascade Prepeprs. Deception on Durham Road is too new to see if there are changes I wish to take. Though I did leave an option to go back. I may start a second book in that series when time permits. The Last Infidels is currently in editing. I’ve already changed a few things in that story. I try to write it completely the first time, but as your mind lingers in that world, you see other scenarios you wish to visit again. It’s an affliction that’s been with me from birth as far as I can tell. Book four in the Graham’s Resolution series is yet untitled. It’s a new adventure and one with enormous consequences. It’s a story that will take over the next two books. Time. Finding enough time to write even though this is my full time job. I work from home and I cannot seem to get enough time to complete the projects fast enough. I work more than sixty hours a week and yet it’s still not enough. James Howard Kunstler – I love his series and how he uses description. I’m getting better with description but I love how Kunstler makes it seem effortless. Well, it begins in Seattle and I’ve lived in and around that area. The Graham’s Resolution ends up in an area where I’ve spent many summers, the Skagit River area in the town of Rockport, WA. I’ve renamed Rockport to Cascade for the series but that’s the location and I’ve spent many hours along the Skagit River; it’s absolutely one of the most beautiful parts of the United States. Keri Knutson of AlchemyBookCovers.com is my Designer. She is multi-talented. She knows my style and usually gets what I’m trying to convey. I know several other authors who use her and she really makes the author stand out. All of our covers are completely different and equally dynamic. She’s a true artist. The tragic parts. I’ve created these people and when something terrible happens to them, I cry. I’m tearing up as I write. I’ve had coffee shop patrons comment to me and offer a comforting pat… lol. It’s hard to explain that it’s not personal but I’m so involved with my characters that it’s emotional. Yes. I spent a tremendous amount of time researching viruses etc… It makes you think twice about everything. Sure. I’ve made nearly every mistake possible. Learn from your mistakes. Get a great cover artist and both an editor and proofreader. Thank You! It’s because of you, that I’m here today. Thank you for loving my series. I’ll keep going as long as you love it. Where the Wild Things Are by Maurice Sendak. I loved it. The movie was terrible in my opinion but the story was wonderful. I have a pretty dry sense of humor and when funny strikes I’ll laugh until I cry. I’d love to meet Stephen King of course. Also, I wish I’d met Ray Bradbury. I know someone who met him and what an amazing treat that would have been. Yikes. I haven’t really thought about it. I suppose, a loving wife and mother to four beautiful children. Also, a USAFR Soldier and Writer. I am a HAM radio operator. I was a Radio Operator in the Air Force Reserves. Other than that, I am active, you could say, in my hobby of writing. My hobby has become my career. Walking Dead. Downton Abbey. Other than that, I’m a reader mostly. I do like to watch movies and the last two favorites were American Sniper and The Imitation Game. My favorite love story was Always with Richard Dryfuss and the last showing of Audrey Hepburn who played God. It was a wonderful movie. I’m a southern girl and no one makes better fried chicken than my Aunt Jane. When I go visit my family down south, I always gain at least ten pounds; it’s terrible. It’s odd, I wear mostly neutral colors but I love red and blue. Music – I love most everything and listen to classics while I write. I often associate a certain song with the manuscript in progress. The theme song from The Last of the Mochicans seems to fit the ending of The Last Infidels and a song titled Life and Death goes well with Deception on Durham Road. It’s funny how that happens, when a song just clicks with your story. Most certainly, gone insane. Lol… A professional reader, perhaps. Fiona: Do you have a blog/website? If so what is it? Yes, you can reach me at AuthorARShaw.com this is where all of my social media is as well as my blog, newsletter sign-up as well. 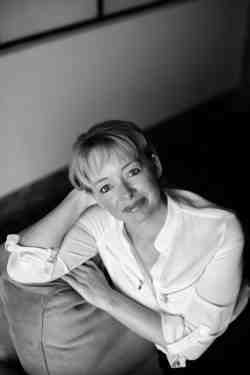 What a great interview for a wonderful author! Just found this gem. Nicely done, and many thanks for the shout out!